It’s Laetare this week! That means “Rejoice!” and it’s the ROSE Sunday in Lent. So make sure to wear your PINK/ROSE this weekend to celebrate! What are we celebrating? That Jesus is no ordinary King, not a king who came to hand out free food but to give Himself as the Bread of Life, His flesh, to feed us with forgiveness, life and salvation. Did you know the Feeding of the 5,000 is the only miracle and sign of Jesus that is recorded in all four Gospels? That must mean it’s pretty important! Join us as we celebrate Laetare, the Fourth Sunday in Lent. Thank you to everyone who attended the two Voters Meetings last Sunday. A recap: The Voters passed a motion to forgive interest payments for Pastor Borghardt on his McHenry house. (His house is currently under contract and due to close in April). At the second meeting changes to the BYLAWS were UNANIMOUSLY ADOPTED. These changes take effect August 1 and will impact elections for the May Voters Meeting. Our NOMINATING COMMITTEEis hard at work identifying individuals to serve in various positions around the church. If they ask you, please prayerfully consider! Thanks, Zion for two great (and short!) meetings. Thank you to everyone who helped fill EASTER EGGS! Our Easter Egg Hunt is on SATURDAY, APRIL 13 at 10 AM. Make sure to come out for FAMILY FUN NIGHT on FRIDAY, APRIL 12 from 5 to 8 PM. 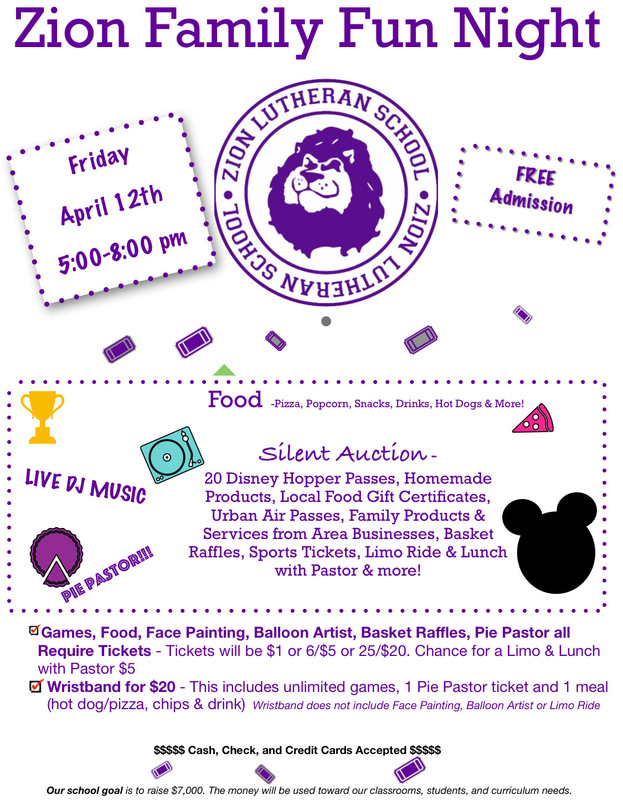 It’s going to be another great evening of games, food, prizes, fun, and lots of great silent auction and basket raffle items. It’s just around the corner! We’ve still got some Wednesday night Suppers (6pm) and Evening Prayer with Communion (7pm). It’s a great time in Lent to come out and enjoy the fellowship of your church family and immerse yourself in God’s Word. 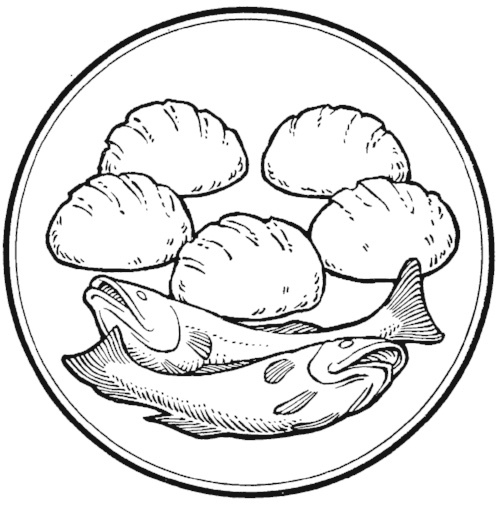 Jesus is the Bread of Life. This we know because our worship is centered around the meal of His Body and Blood. By that Sacrament, Christ lives in you and you in Him. It’s what unites us with Jesus and with one another in Him. See you for this great gift in the Divine Service this weekend!